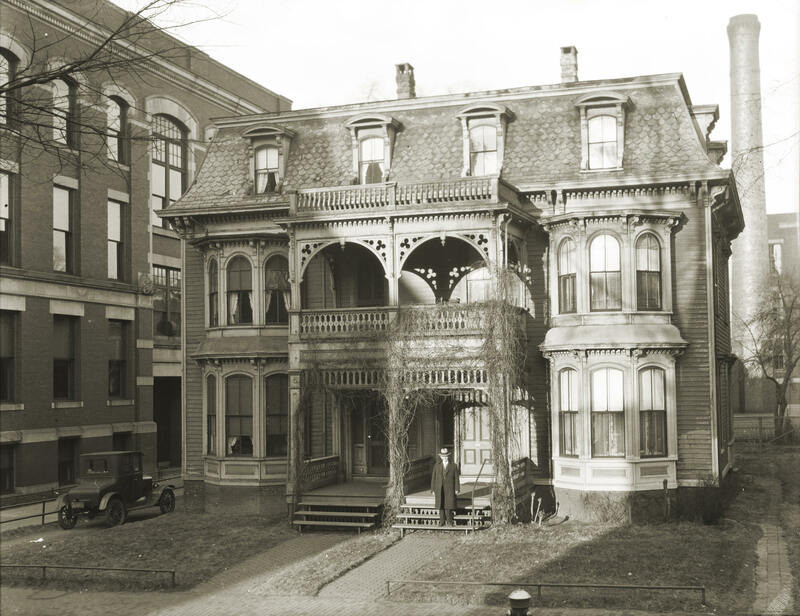 If we live in old houses we often become curious who lived here before, when they lived here and general things about the history of our homes, even early pictures of our houses. I'm posting this photo in the hopes that someone can identify it. It is a school photo, probably from around 1900, most likely from Springfield. 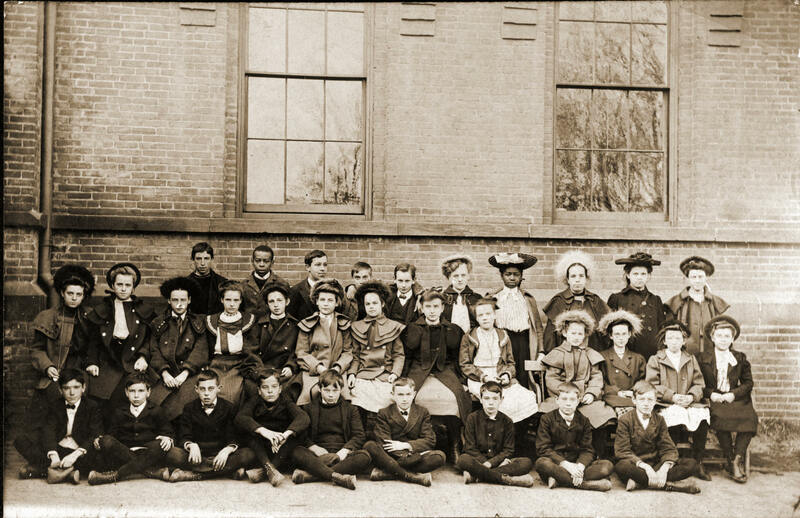 What is unusual about this photo is that most of the students are identified on the back -- so maybe you will find your ancestor there. If you do, I can send you a large electronic copy which you can have printed out at a photo printer like CVS or Walgreens. I picked up a neat glass negative of the Springfield City Library. 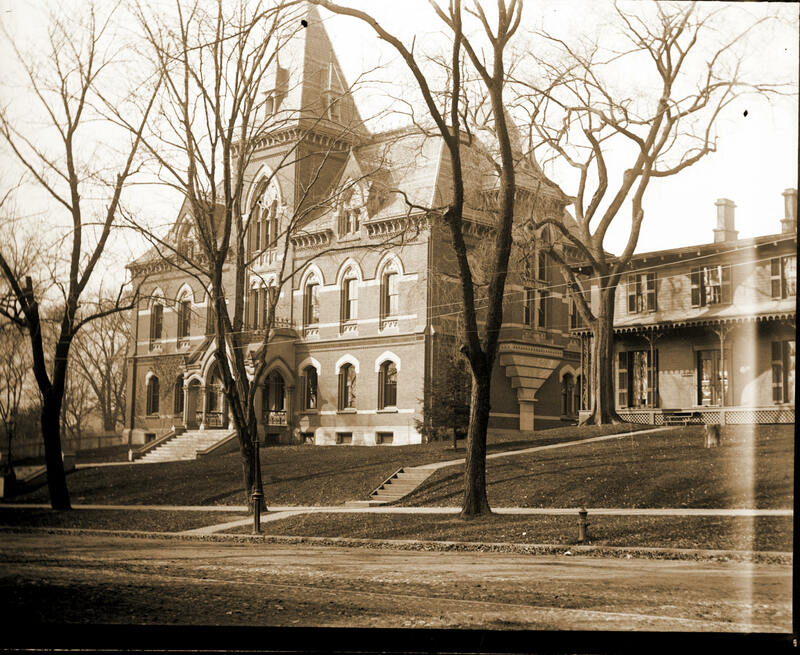 This negative apparently belonged to a former photographer from the Springfield Union, it was taken in 1887, just a few years after the library was built (in 1871). 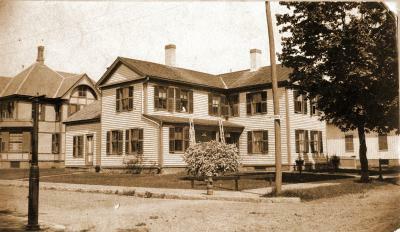 Most other photos I have seen of the library have been closer to end of its life in 1912. 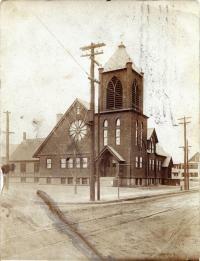 This church once stood at the corner of White and Orange Streets. 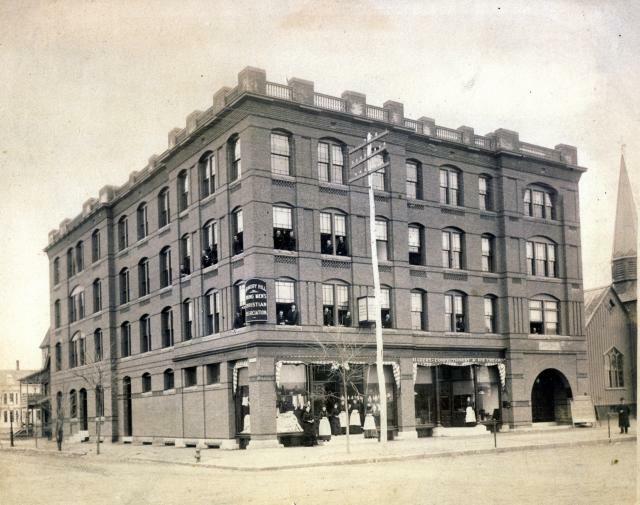 I identified the photo in two ways; first, the sender of this postcard mentioned that she lived at 175 White St., and that the church was across the street. 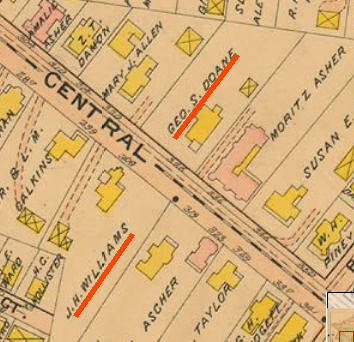 Second, she mentioned that Mr. Means was the preacher, and a check of the 1910 city directory confirms that Mr. Means was the pastor of Emmanuel Congregational Church. I went to "Papermania" in Hartford this weekend, the biggest ephemera show in the Northeast. It is held every year in the beginning of January. I picked up a stereoview that I can't identify. It is of a school, and the pencil writing on the back simply says "Springfield Mass School". I picked up a photo on eBay featuring the Armory Hill Young Men's Christian Association. 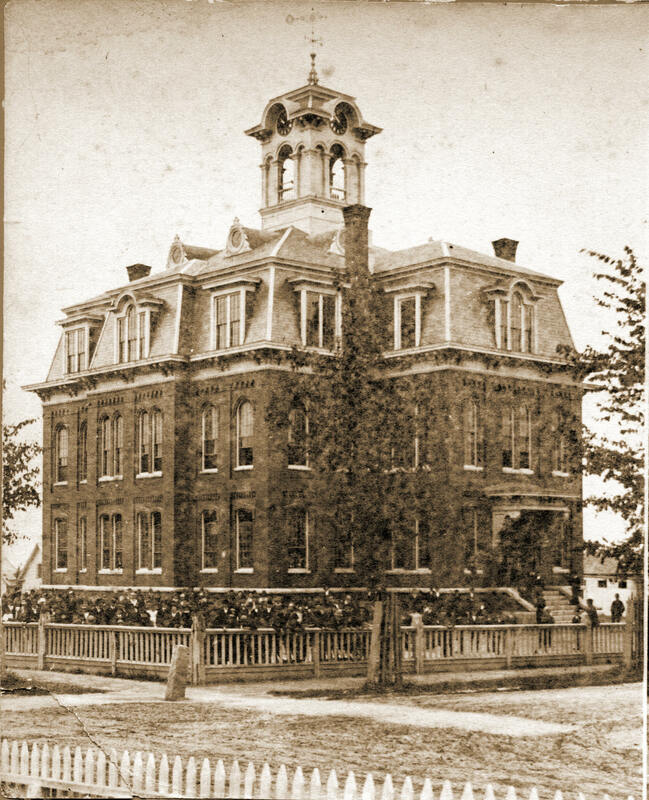 On the reverse of the photo, it is written "1885 - Springfield College held first classes in Armory Hill YMCA". I have a lot of postcards in my collection that are probably from Springfield, but remain unidentified. From time to time I stumble across a house by complete luck, but for the most part that is difficult because it is limited to areas I frequently travel. Springfield's GIS system is available online; it is a great way to find out information about various buildings in the city. However, I have come to find that the dates in the system are not always accurate.